It’s common for business leaders to feel like they’re trapped in an endless lather-rinse-repeat cycle of launching and then trashing IT efforts. The business tries a new software platform or brings in a new IT service and within months the new initiative or partnership starts to fizzle. So many promises, so few results. When that happens, as often seems inevitable, it feels like they have no choice but to regroup and try again. How do businesses end up in this predicament, and how can they avoid it? If you want to get your company off the IT merry-go-round, you can start by avoiding some common mistakes. 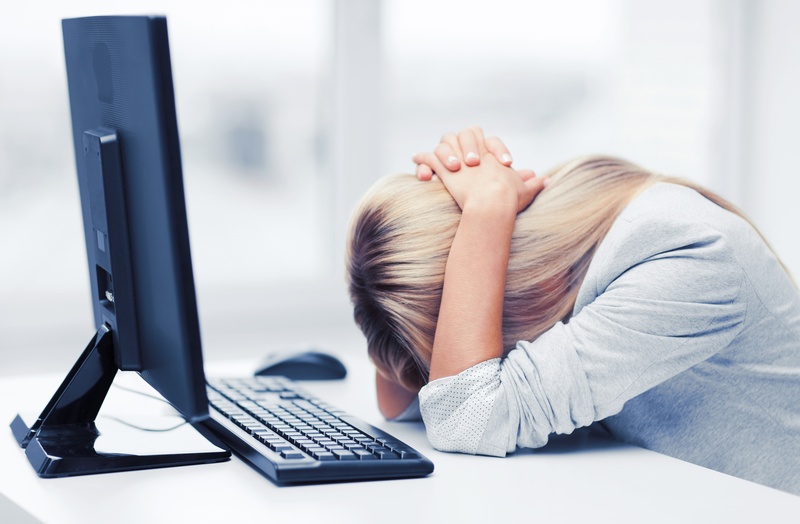 These are the top six reasons your IT efforts keep failing in the first place. It sounds obvious, but why would a business undertake an IT solution without a true business justification for the technology? Treat IT decisions like your other business decisions. A smart IT investment should lower your company’s costs, improve its productivity, and, of course, increase its revenue. Do your due diligence! No one wants change sprung upon them. When department managers aren’t brought into implementation discussions early and often, they may not use the technology to its full potential and are likely to resist the change. Planning and consensus set everybody up for success. If you ever invested in a “great” IT solution that never paid dividends because it wasn’t really made for your industry, you know what we mean. It pays to check out how other companies in your field use the technology or the partner you’re considering. Gaining a little intel will ensure others that do what you do have found the solution of value. One size doesn’t fit all. Matching the scale to the system is crucial. Buy too much, and you risk wasting money on unnecessary capacity and capabilities. But if you buy too little, you’ll regret it until you replace it. Conduct a proper needs assessment to avoid these headaches. Planning and budgeting - including, of course, training time and personnel - should take place well before bringing the solution in-house. After all, if a technology’s intended users aren’t up to speed on how to use it, they won’t feel comfortable making the change to the new program and will certainly resist working with it to its true potential. The truth is, the real work begins directly after implementation and continues for quite some time afterward. The company will need time to work toward the processes and improvements its leaders have defined before implementation. The processes and software itself may need iteration to improve results. Return-on-results must be continually evaluated. So how can you avoid making these kinds of mistakes? The key is following a strategy-based approach to IT planning and implementation. In fact, a report in the Harvard Business Review finds that one of the of the top reasons companies can lag behind competitors comes down to the information technology they rely upon. Ultimately, your business is only as good as its technology, so, as the article points out, you’ll find great value in planning IT projects carefully rather than simply fixing issues after implementation. At the end of the day, IT planning must go beyond simply fixing tickets and making software updates. A forward-thinking IT partner can help your business thrive through suggestions that make every department--and everyone--in the business much more efficient. That partner can also help you marry your IT strategy with the right solution to stop the rinse-repeat cycle of continued, willy-nilly IT investment. Discover how partnering with a forward-thinking, strategic IT partner like Thriveon can help grow your business while maintaining the technology you already have on board.